At Lake Tenkiller you'll fall over this! Summer is the busiest time at the lake. The area boasts of over 2 million people each year come to Lake Tenkiller. A large majority of people are here in the summer but more are starting to discover the secrets of “off season” at Lake Tenkiller. What’s the big attraction in the fall? A slower pace, with cooler temperatures, foliage changes, along with time to relax and take a breather, just to name a few. 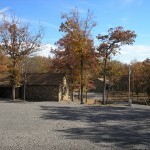 Here’s a scene of the foliage changes outside the Cozy Turtle and Snappy Turtle cabins. The blend of color is fantastic. Although things do slow down a bit after Labor Day, there’s still plenty of Events to choose from. Here’s a few to check out. Fall Festival at Fin and Feather Resort September 26-28. A fall tradition at Lake Tenkiller is the annual Arts and Craft show. This event is in its 46th year and is considered to be one of the biggest in the state. You can expect to see more than 200 arts and crafts exhibitors at this one of a kind Lake Tenkiller extravaganza. Call 918.487.5148 for additional details. Dutch Oven outdoor cooking at Tenkiller State Park. Workshops are scheduled for September 27, October 4 and November 15 from 10:00 AM until 1:00 PM. It is a hands-on experience of how to use a Dutch oven to cook food while camping out. You can bring your own seasoned Dutch oven or one will be provided at the park. 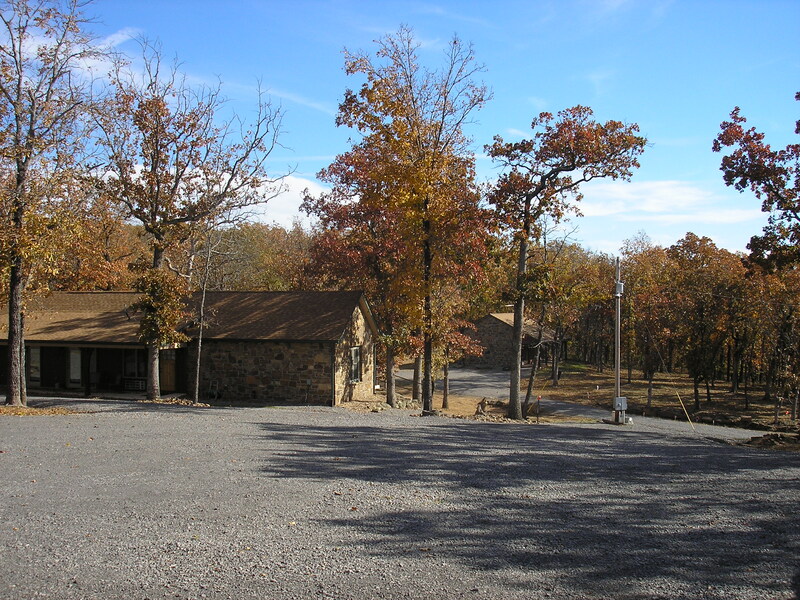 Call 918.489.5643 at the Tenkiller State Park to get more information and make reservations. Snowflake Winter Festival, Tahlequah, November 20 through January. Located in Norris Park, Snowflake signifies the end of fall and the beginning of winter. The festival transforms the park and downtown with lights, decorations and the opening of the ice skating rink. That’s right ice skating right here in Tahlequah. Call 918.456.3742 at the Chamber of Commerce to get additional details. See you on the ice! Movies in the Park and the Farmer’s Market both at Norris Park are held throughout the fall and a Veteran’s Day parade is scheduled in November. Consider a fall getaway at Lake Tenkiller. There’s plenty to do or relax and enjoy the peace and quiet on your own covered deck at Terrapin Peak Bed, Breakfast & Beyond. CLICK HERE to make your reservation. Genny and Chef “What’s His Name” vacationed at Lake Tenkiller for more than 15 years. At their special Lake Tenkiller lodging they enjoy sharing their home, life stories and love of the lake with their guests. This entry was posted in Fall, Lake Tenkiller, Lake Tenkiller Lodging, Oklahoma Bed & Breakfast, Oklahoma Things To Do, Rustic Cabin Rentals Oklahoma, Tenkiller State Park, Terrapin Peak Bed, Breakfast & Beyond and tagged Bed & Breakfast, Lake Tenkiller, Lake Tenkiller lodging, Lake Tenkiller things to do, Lodging, relaxation by Genny. Bookmark the permalink.